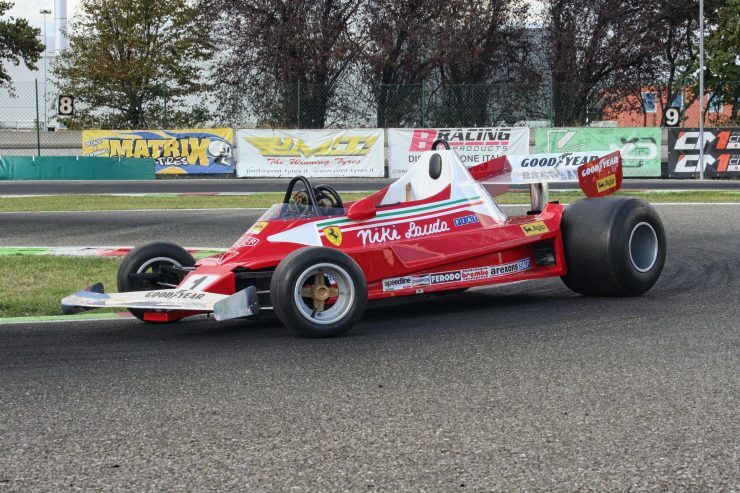 In 1976 Niki Lauda drove the Ferrari 312T2 Formula 1 car to a Constructor’s Championship alongside teammate Clay Regazzoni, Lauda missed out on winning the Driver’s Championship by a single point as a result of his horrific crash at the German Grand Prix at the Nürburgring. After very nearly dying in the fire that followed the accident, the now badly burned Lauda rushed his rehabilitation in order to get back into the Ferrari 312T2 and challenge McLaren driver James Hunt. 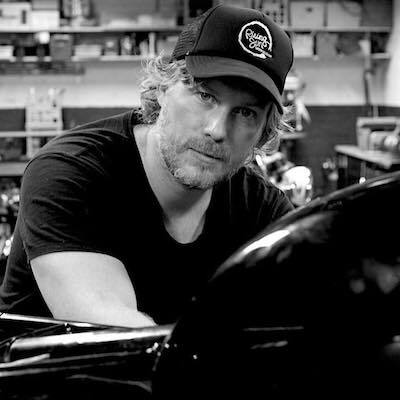 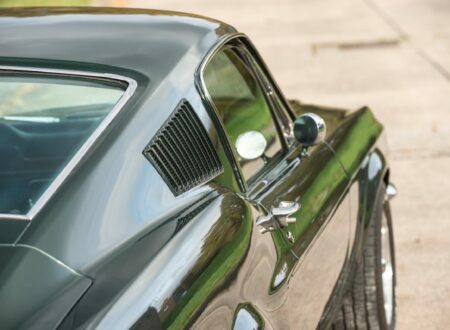 Their famous rivalry has been the subject of multiple books, documentaries, and a major feature film starring Daniel Brühl, Chris Hemsworth, and Olivia Wilde, directed by Ron Howard. 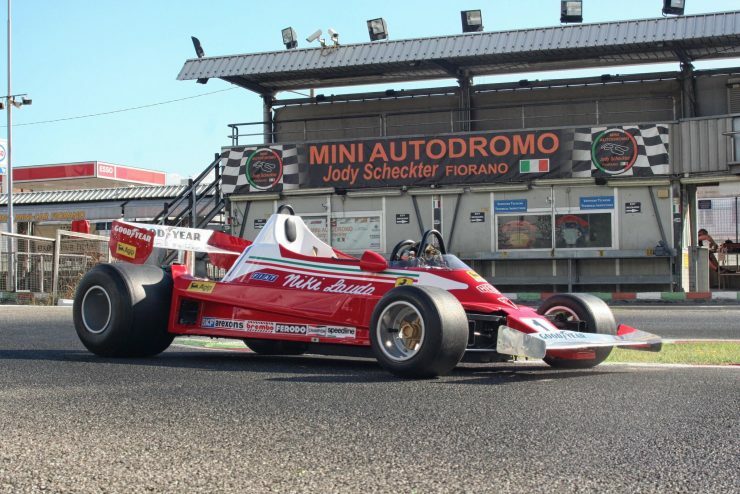 The battle royale between Hunt and Lauda is remembered as one of the greatest rivalries in Formula 1 history, and the success of the Ferrari 312T2 has seen it become an icon in its own right. 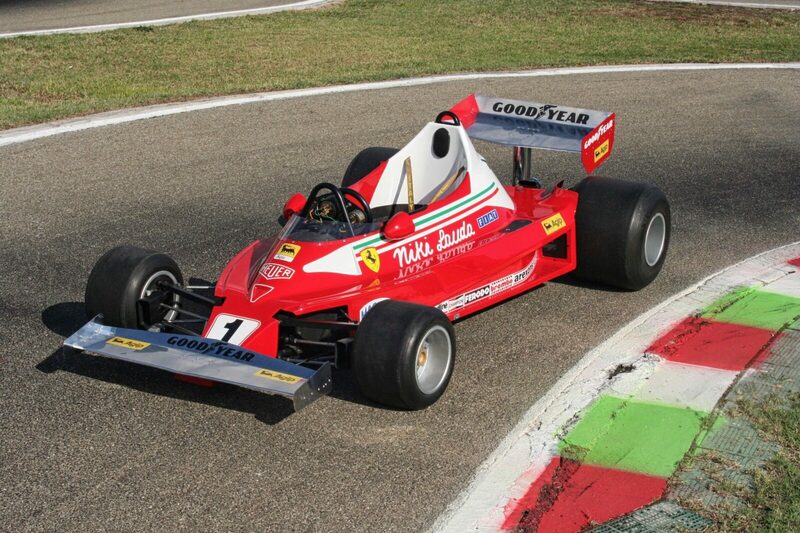 The Ferrari 312T was released in 1975 as a replacement for the less-than-successful Ferrari 312B3 – it had become clear that the problems with the 312B3 were too significant, and a new car was required. 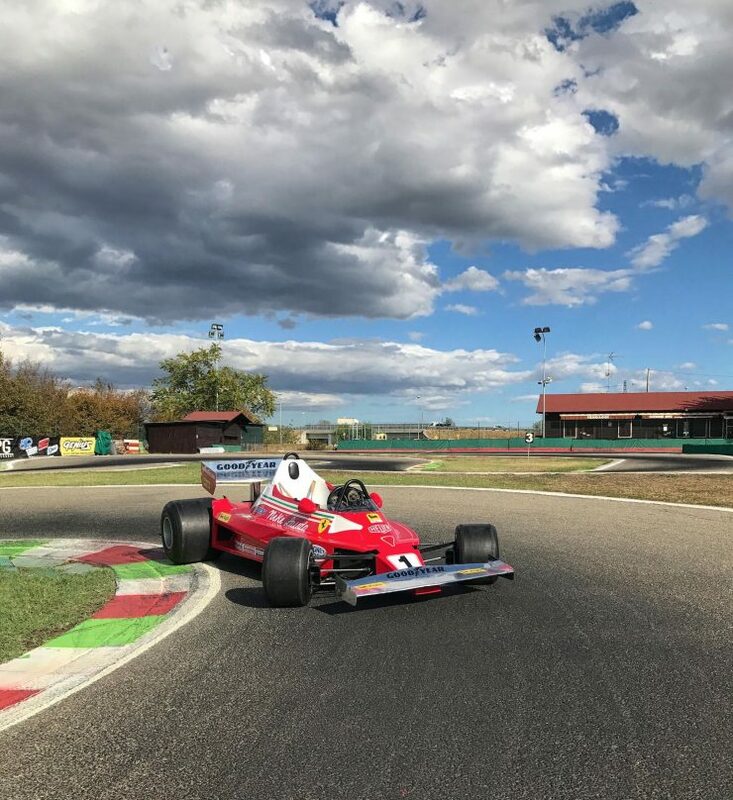 The project was headed by Mauro Forghieri, who developed a lightweight tubular steel spaceframe with aluminium panels fitted. 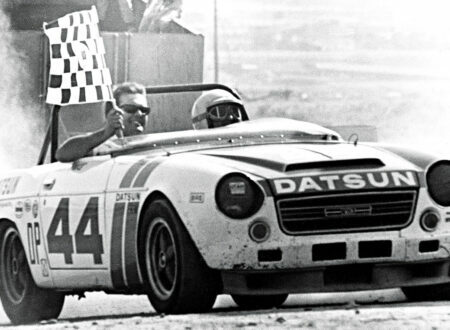 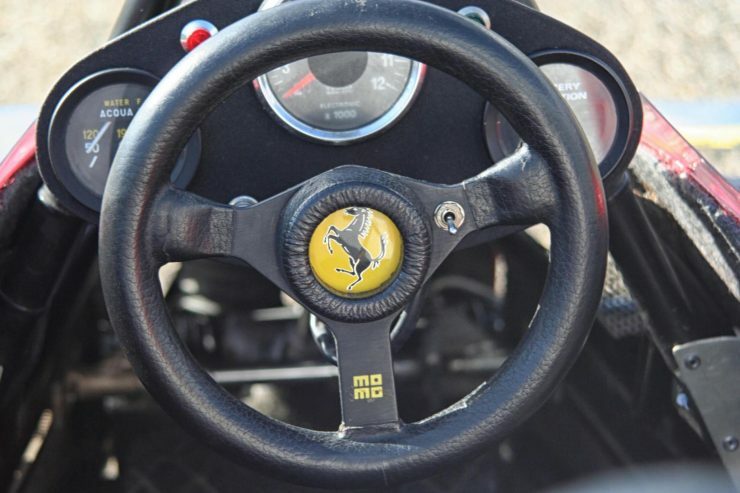 The engine was a naturally aspirated Ferrari Flat-12 mated to a Ferrari Type 015 5-speed transverse gearbox – designed to sit in front of the rear axle line and improve weight distribution. 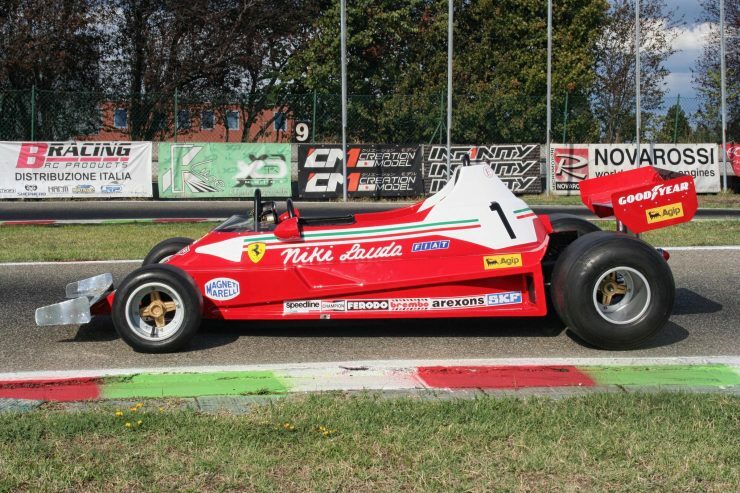 The Ferrari 312T and its evolutionary iterations the 312T2 through to the 312T6 competed in 90 races, of which they won 27, with 61 podiums, 19 pole positions, and 25 fastest laps. 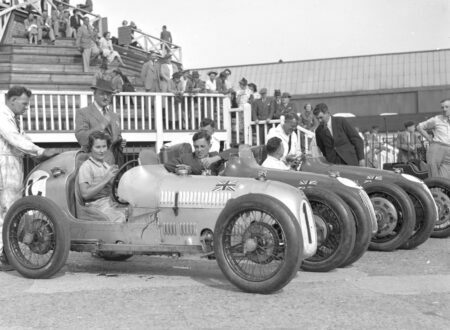 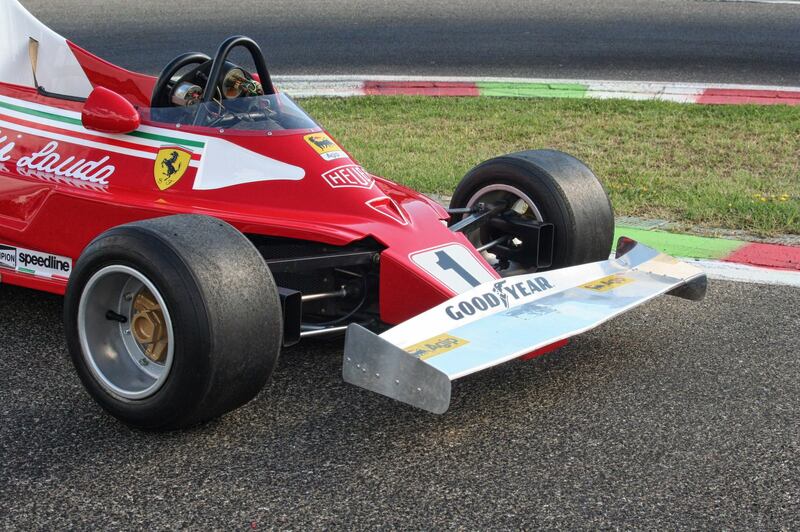 The 312T series would also take 4 Constructor’s Championships and 3 Driver’s Championships, a remarkable feat given that before the 312T came along the previous Constructor’s Championship win for Ferrari occurred all the way back in 1964. The car you see here is a working 1:2 scale model of the original car, interestingly it was built by Italy Car of Bologna for the proprietor’s daughter, and he got Ferrari’s main suppliers to supply 1:2 scale versions of many of the items supplied to the Formula 1 team – from Momo for the steering wheel to Goodyear for the tires. 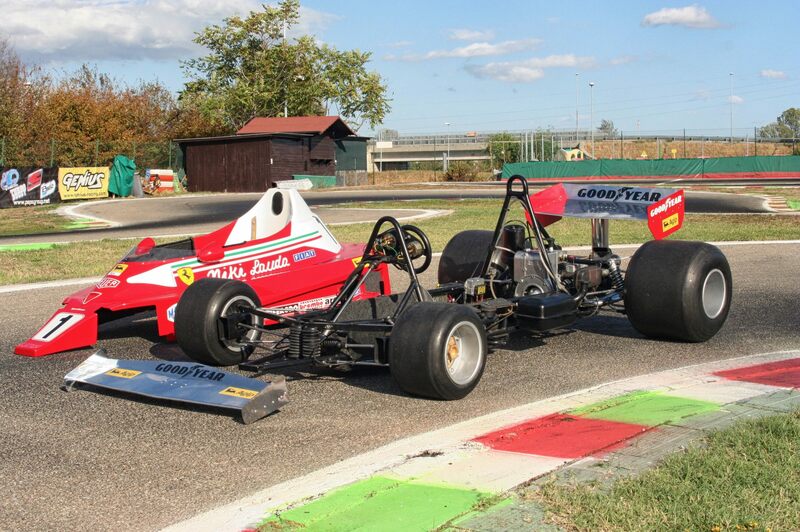 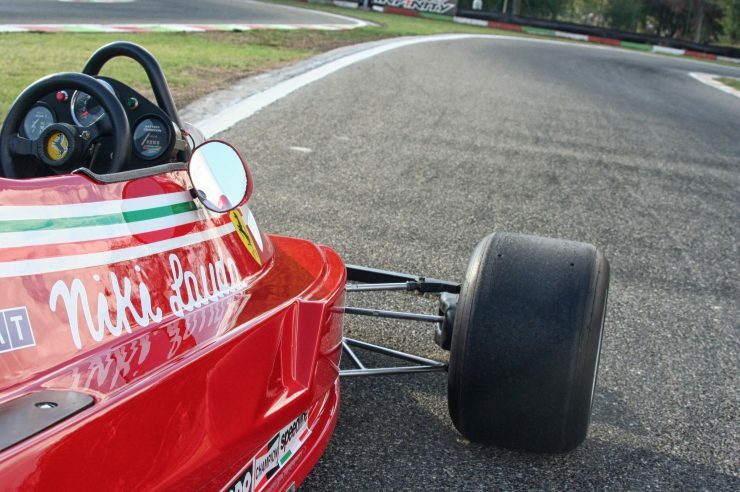 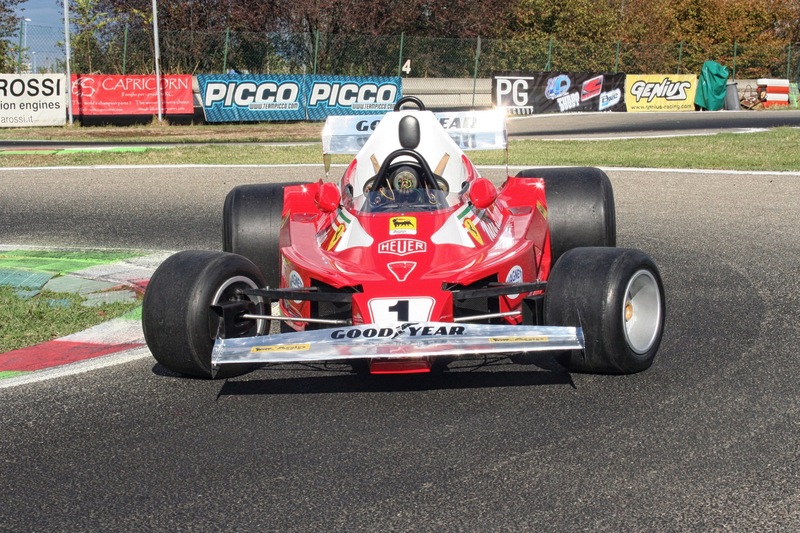 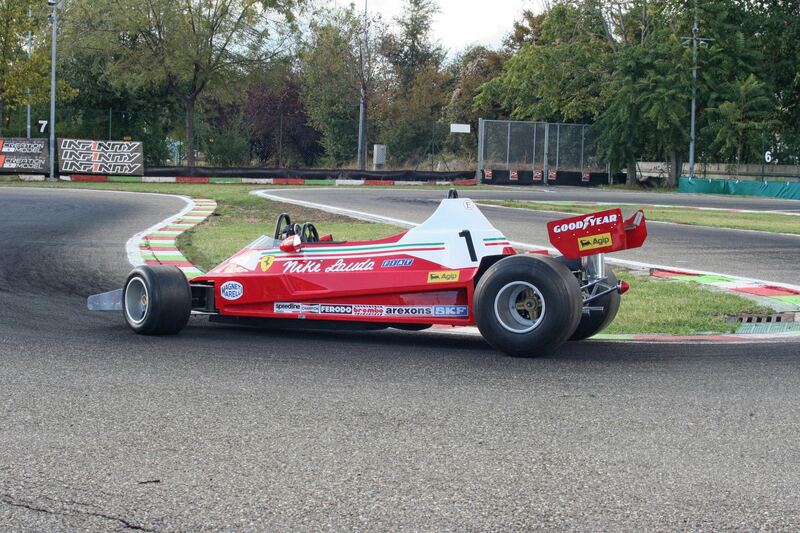 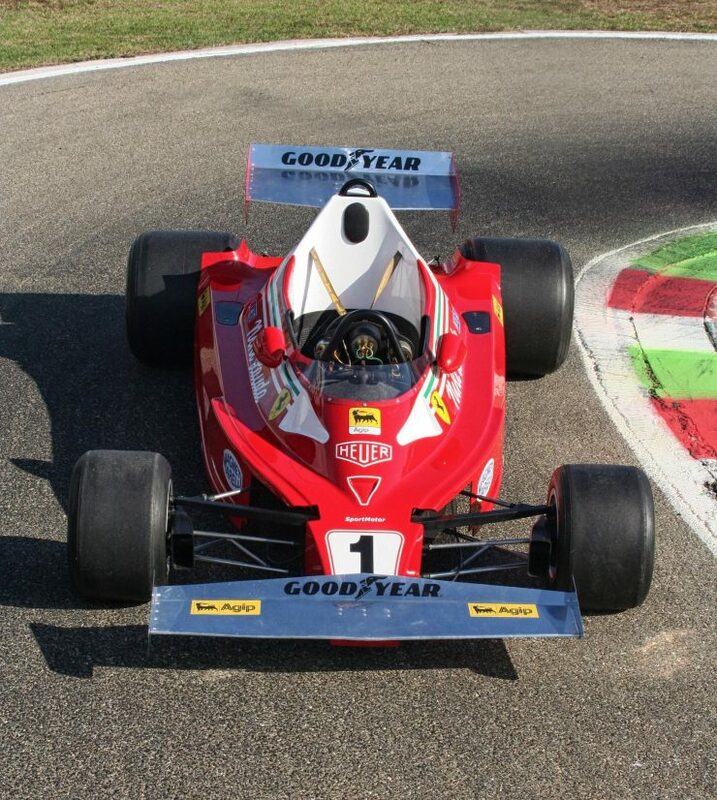 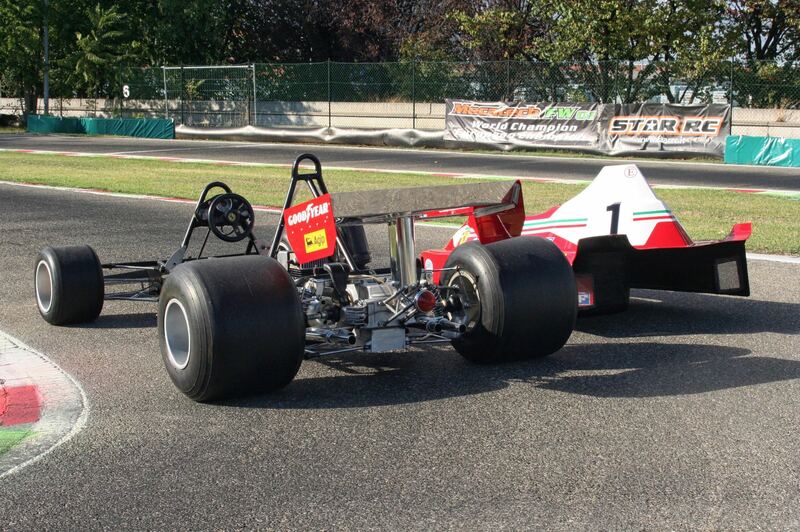 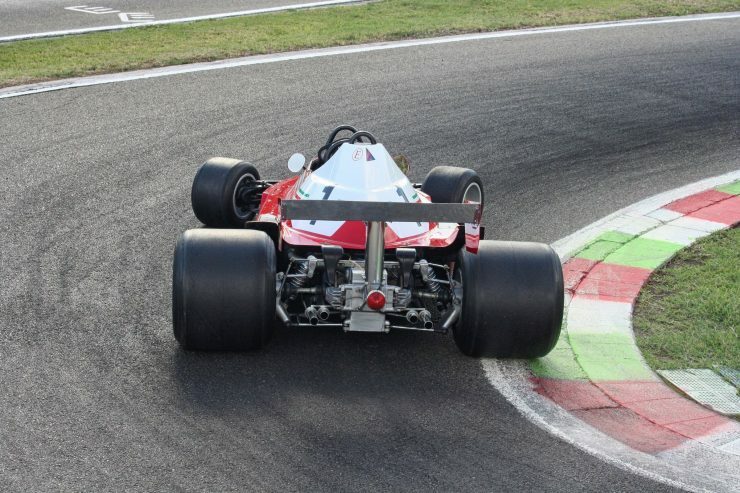 The first example was shown at the Bologna Motor Show in 1977, just a year after the famous “Rush” reason of Formula 1. 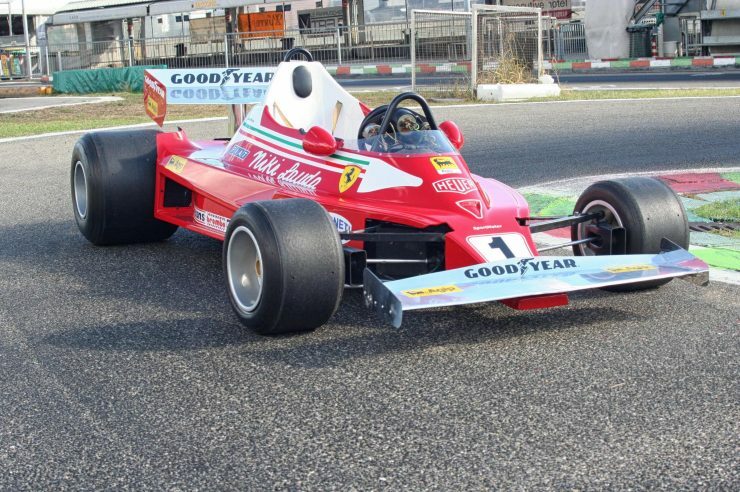 Niki Lauda saw it and loved it so much he ordered one for his own son, but sadly just 5 would be completed before the parent company went bankrupt – an additional two cars were later completed from parts. 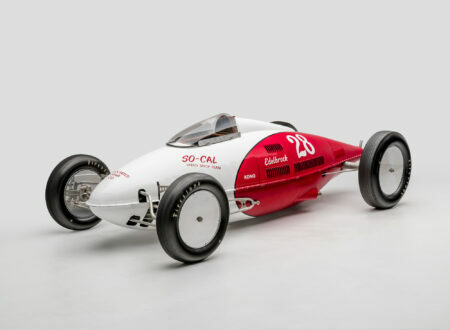 Sadly, though understandably, the 1:2 scale model car isn’t powered by a 1:2 scale model of the Ferrari Flat-12 – it’s instead powered by a far simpler and easier to maintain mid-mounted BCC two-stroke engine with an electric starter, with a gearbox offering two forward gears and one reverse. 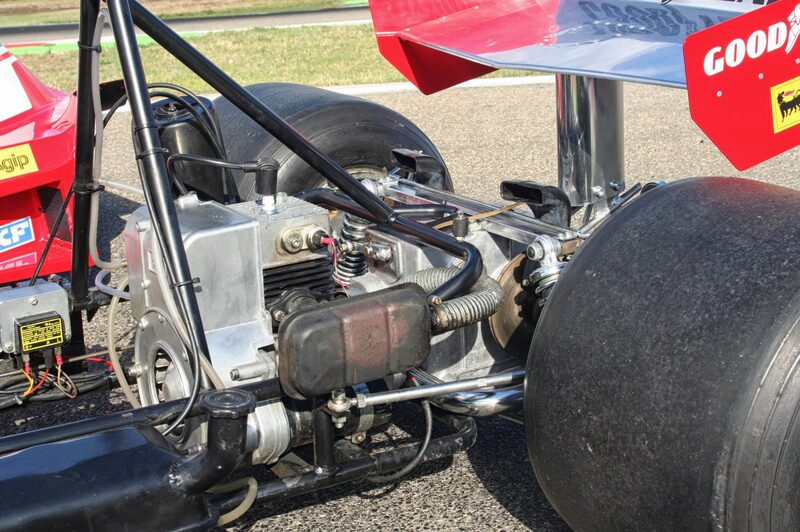 Impressively the car does have independent suspension all round, with hydraulic disc brakes – both front disc brakes even have functional air scoops. 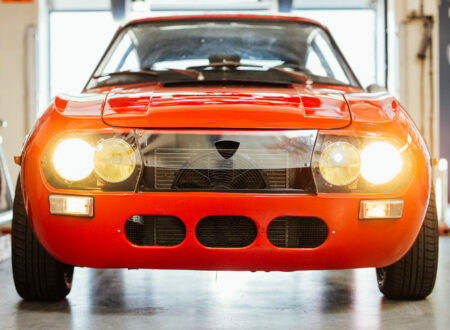 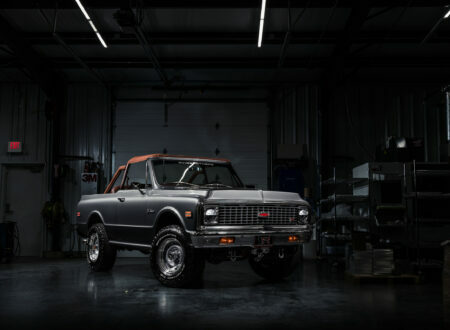 It’s not know how many of the original 5 cars and 2 “parts” cars have survived to the modern day, so this example will likely attract a lot of attention when it rolls across the auction block with Bonhams in Monaco on the 11th of May.